Many of the participants at OPI come to us because they struggle with difficulties in communication and social interactions. They may have a prior diagnosis of a Pervasive Developmental Disorder such as Asperger’s Disorder. In the new DSM-V, the diagnosis of Asperger’s Disorder no longer exists and has been absorbed into the diagnosis of Autism Spectrum Disorder (ASD). There is also a new diagnosis called Social (Pragmatic) Communication Disorder (SCD), which falls under the category of Communication Disorders and may serve as an alternative diagnosis for someone with Asperger’s-like symptoms. A person diagnosed with SCD has difficulty with “effective communication and social participation, development of social relationships, academic achievement, or occupational performance.” These difficulties cannot be due to low cognitive ability. While symptoms must be present from early childhood for both ASD and SCD, the DSM-V acknowledges that those symptoms may not be recognized until later, when a person with these limitations is faced with increased social demands. A person with ASD may have only exhibited these restricted, repetitive patterns during the early developmental period. It is imperative that a comprehensive history be obtained because any evidence of restricted/repetitive patterns of behavior, interests, or activities in addition to the communication difficulties would lead to a diagnosis of Autistic Spectrum Disorder, rather than Social (Pragmatic) Communication Disorder. You might have heard of DSM-V if you have a child or young adult in your life suffering from autism. It is the fifth edition of the Diagnostic and Statistical Manual of Mental Disorders, released by the American Psychiatric Association, and acts as a universal authoritative tool in diagnostics in the US. In addition to establishing diagnostic criteria, the DSM-V also provides recommendations for treatment and even payment for treatment. The preceding manual was published in 2000, and this newer edition contains notable changes, some of which apply to Asperger’s syndrome. DSM-V has dropped Asperger’s syndrome as a distinct classification. This edition has been the subject of much controversy, and a petition requesting the outside review of the DSM-V has been signed by many and sponsored by mental health organizations across the country. Who Determines What Is in It? The American Psychiatric Association ultimately decides what is in the DSM-V. However, required signing of nondisclosure agreements for those who worked on the project has amounted to suspicion that other key players in the industry, like pharmaceutical companies, might have also had a say in the content of the DSM-V.
How Often Is It Updated? The first edition of the DSM was published in 1952. There was little change between DSM-I and DSM-II. DSM-III was published in 1980. A revised version of DSM-III, known as DSM-III R, was published in 1987. DSM-IV was published in 1994 and a revised version, DSM-IV-TR was published in 2000. DSM-V is the first published release since then. Who Uses It and for What? 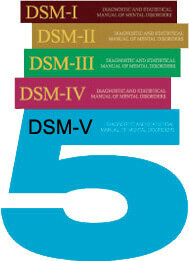 DSM-V has been designed for use across all clinical spectrums of the mental health industry. This manual is the go-to manual for psychiatrists, psychologists, social workers, counselors, doctors, nurses, rehabilitation professionals, and all other types of licensed therapists. Researchers also use the DSM-V. These industry leaders use the DSM-V to accurately diagnose and treat their patients who suffer from mental health disorders and illnesses. The DSM-V is used in many programs and treatment centers across the country, including both inpatient and outpatient facilities. It is a reference for treating people of any age, including young adults. Asperger’s syndrome is a disorder that is a part of the autism spectrum disorder group. The disorder is marked by social interaction and verbal difficulties, as well as difficulties with nonverbal communication. Repetitive and restrictive patterns are often seen in the behavior of those who suffer from Asperger’s. Those with Asperger disorder often have a lack of cognitive empathy, which affects most areas of life for the individual. The DSM-V removed Asperger’s disorder as its own distinct classification and replaced it with a general diagnosis of scalable severity of autism spectrum disorder. The exact cause of Asperger’s disorder is not yet known, but it is often discussed and has been the subject of much controversy, especially in the media. Current estimates claim that one in 500 people has Asperger’s. At its root, autism is a neurodevelopmental disorder. Difficulties with social interactions as well as both verbal and nonverbal communication skills are characterizing qualities of autism. Repetitive and restrictive behaviors also help to characterize an individual who has autism. Although it is not yet established what causes autism, researchers have been able to find certain environmental links that might shine a light on risk factors for the development of autism. However, autism also has a strong genetic component. The first signs of autism are normally noticed with the first two years of a child’s life. A delay in language development is usually one of the first red flags that prompts further investigation. The number of children and young adults who are diagnosed with autism today appears to be increasing, but researchers do not yet know whether the numbers are authentically increasing or if the rising number of cases is due to an increased knowledge of autism on behalf of both parents and health care providers. Social (pragmatic) communication disorder (SCD) is a new element of DSM-V. SCD is meant to help identify and treat individuals who have problems with communication, social interaction, and academic and occupational performance. One of the goals of establishing SCD is to distinguish individuals with SCD from those with autism. While autism is characterized by many of the same communication and social difficulties as SCD, autism is also characterized by repetitive and restrictive behaviors where SCD is not. The belief is that many individuals have received inconsistent care from treatment programs and centers across the country for SCD symptoms and that they were often clumped beneath the autism category when they should not have been. YOU HAVE QUESTIONS, WE HAVE ANSWERS. LET’S TALK. "There is now more to life than just staying in my room and out of the hospital. I'm creating a person of responsibility. I could see myself being a loving father somday." "I never thought I could change and that things could get better. For the first time in my life, there is now light at the end of the tunnel." "This is the best decision ever. I can feel it, I can see it, there is a list of my own goals, and you know, this time I know I am not going to the hospital again and putting my life on hold. You coached me how to go to my goals and dreams."